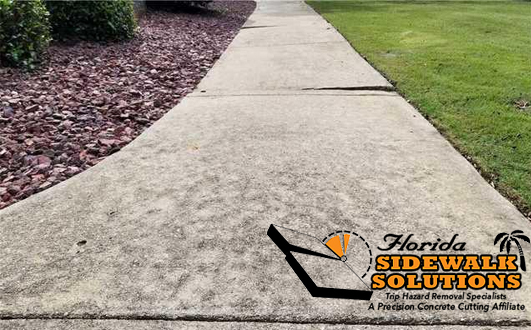 If you’re a property management company or someone responsible for public sidewalks then you’re most likely aware of the liability a trip hazard presents. Trip and fall incidents, unfortunately, happen far more frequently than most people would want. 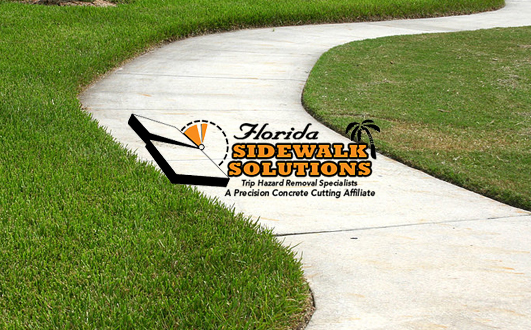 Fortunately, the options to repair uneven concrete are more effective and affordable than ever. 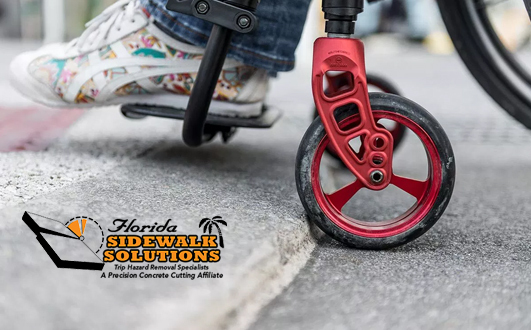 Sidewalk trip hazards are defined by the Americans with Disabilities Act of 1990 as any incline over one-quarter inch. 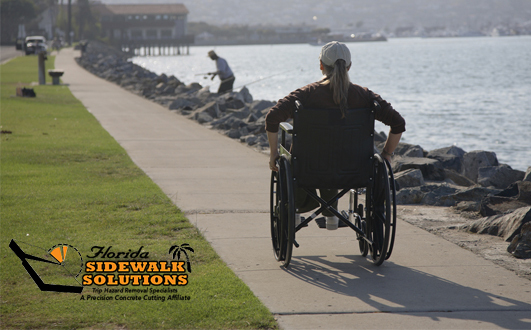 Though uneven sidewalk and sidewalk cracks are an eyesore, they are truly considered to be public safety hazards. 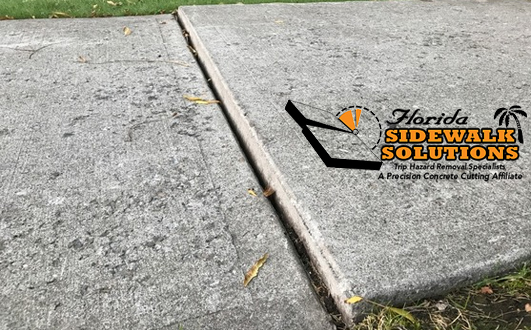 Considering all of these things together and it’s easy to see the importance of finding an uneven concrete repair service before a trip and fall incident occurs. Consider this scenario – an elderly woman is walking around her neighborhood. Something catches her attention while she’s walking and she ends up tripping on an even sidewalk panel. What happens if she breaks her hip or sustains another injury? Who is responsible? How is it settled? These same situations play out across the country almost every day. 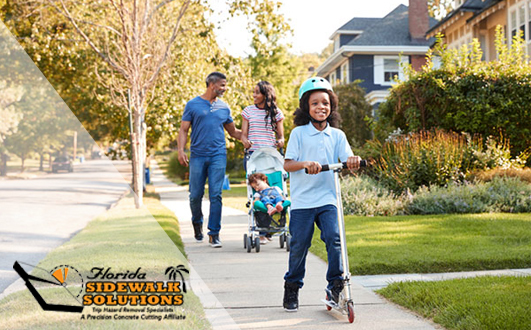 In most situations, including many residential and most commercial, there is some sort of property management company responsible for the safety of its walkways. If the trip and fall incident results in a serious injury, the person will probably find a lawyer to file a lawsuit against them. The average cost of a legal settlement for these types of incidents is roughly $40,000 in damages. So how do you avoid the situation entirely? By getting rid of the liability in the first place, of course. 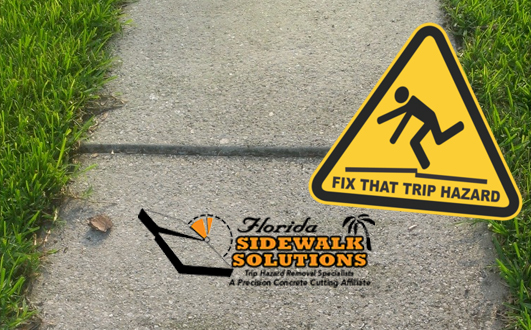 The average cost for an uneven concrete repair service to remove sidewalk trip hazards is in the hundreds. When compared what a settlement would cost if someone is injured, it’s easy to see which one is preferred. 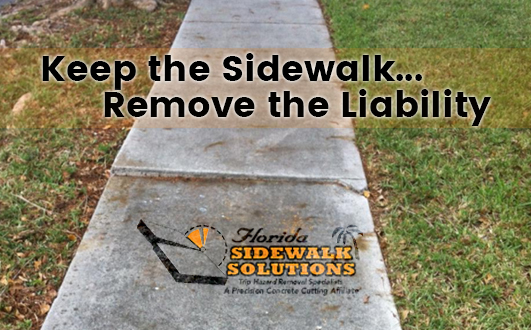 And with the advancements in technology, sidewalk trip hazard repair has never been easier or more affordable. 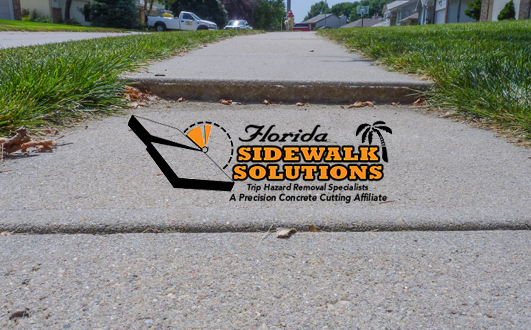 Patented concrete cutting technology is now recognized as the best way to repair uneven concrete sidewalks. Why? It’s capable of reaching every angle and edge of a panel without causing damage to any nearby structures. 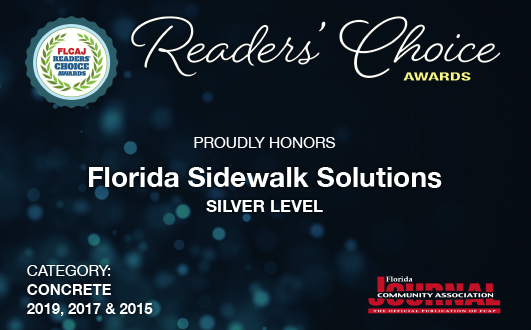 It takes very little time and, more importantly, leaves behind OSHA compliant sidewalks. 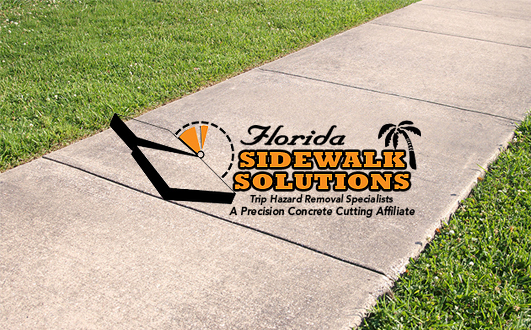 If you’re in South Florida and looking for an uneven concrete repair service for removing trip hazards, give us a call. 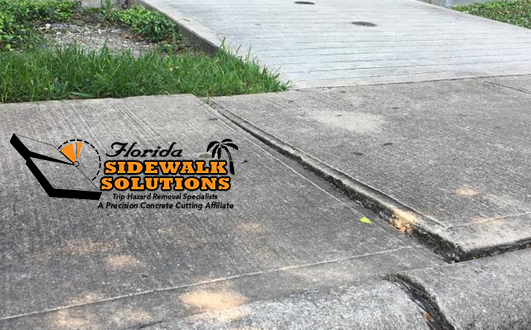 Florida Sidewalk Solutions is the premier sidewalk trip hazard repair company in the region and have removed thousands of trip hazards. 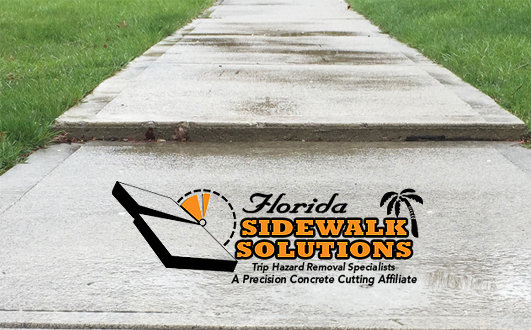 Our motto is “Keep the sidewalk, remove the liability.” Contact us to get a free quote for removing your liability or to schedule a service appointment soon.